Don't have enough room for a traditional frameless door to open? 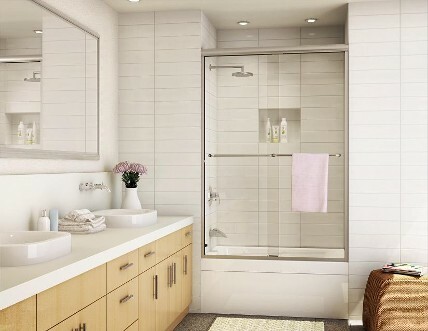 What about looking at our many choices in sliding shower doors. Depending on the system you choose you can have the option of 1 movable pane, two or even three. A bifold door system is also another option for comfort and a wider door opening. This sliding door system can be done in 1/4" or 3/8" glass. Don't see exactly what you are looking for here. We offer several choices, call today to set up a free in home consulation. 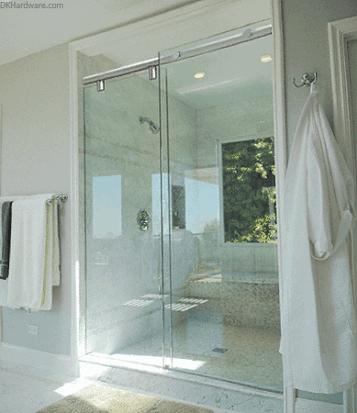 Our professional staff can help you choose the right sliding shower door system for your bathroom.